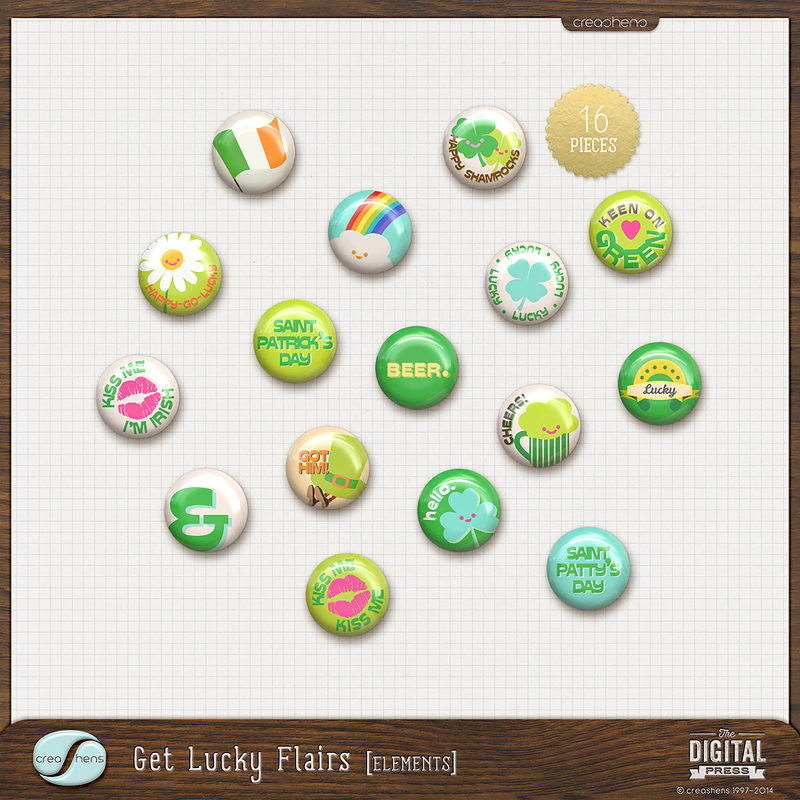 Get Lucky Flairs includes (16) fun unique flairs in celebration of Saint Patrick's Day, ideal for digital and hybrid scrapbook layouts and projects. 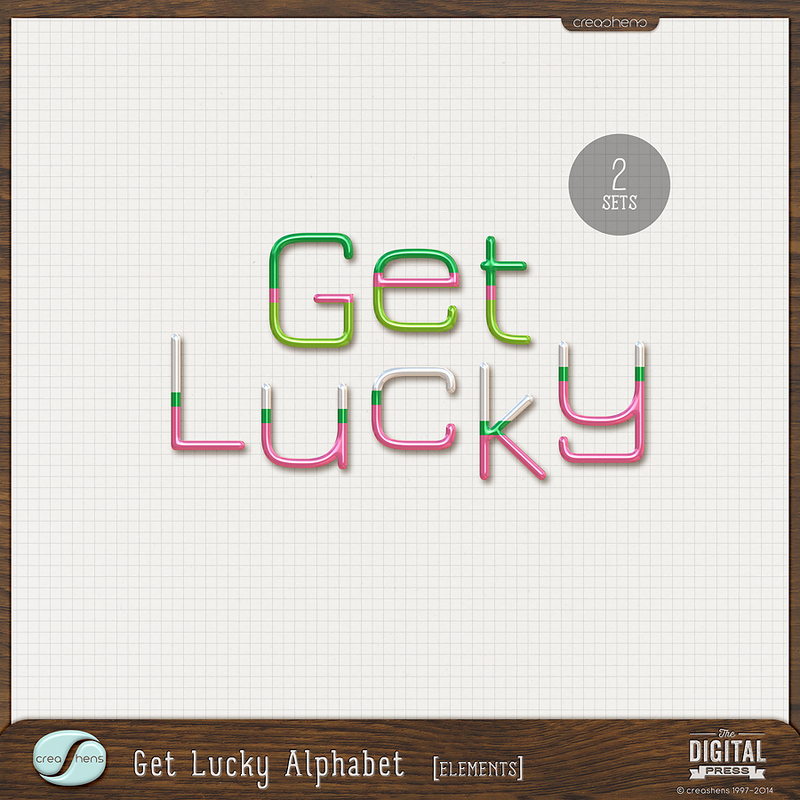 All elements included without shadows in PNG file format (unless otherwise noted). All items delivered digitally. Download speed varies upon your internet connection. Everything proudly created in high resolution quality and presented in 300dpi for optimal printing. Please note: Some elements shown in the inspiration layouts may not be included in kit. For specific details, please visit the layouts in the Gallery.